Christmas is a great time for sharing and spreading love. So one of the best way is to share your love of exceptional coffee with those you love. 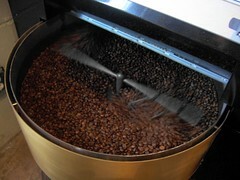 Our Continuous Coffee Program is a bag of fresh roasted coffee, delivered right to their door, every other week! We have programs running for three, six, and twelve months. Shipping is included in these fantastic programs. A perfect gift this Holiday Season! For the ultimate brew, our Tokio Siphon brewer is the best way to bring out the dymamic and flavorful elements in your coffee! Each siphon brewer comes with 1 bag of fresh roasted coffee so you are ready to begin your coffee journey. Just want to dip your toes in the coffee pool? 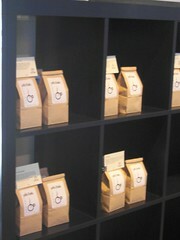 A bag of fresh roasted coffee or espresso is a great way to savor the holiday nights and gift-a-licious mornings. And as a holiday special, free shipping up to two bags through Dec 18th! Having tons of Holiday guest and you want to make that perfect espresso or cappucino? We have 5# bags of fresh roasted whole bean espresso so you can impress your friends and family with your awesome barista skills! Are you a tea lover? We have a wonderful selection of full leaf teas to soothe in the new year. Each tea comes in a beautiful ceramic jar designed for perfect tea storage. A beautiful and thoughtful gift. caffe d’bolla wishes you a wonderful Holiday Season!